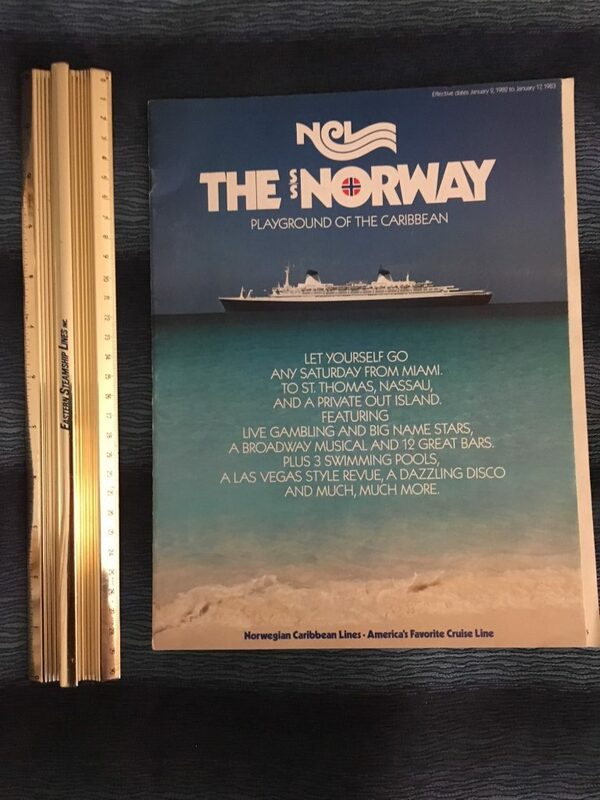 Let yourself go … delightful brochure for the Norway dated January 1982- January 1983. She was in the early years of her success and raking in the cash for NCL. Lovely Profile fold out on the front cover.